Once you’ve decided that you’re ready to invest in rental real estate and taken the quiz to see if your personal finances and real estate knowledge are solid, you need to decide what kind of investor you’ll be. When it comes to managing your real estate investments, would you prefer to be heavily involved in the day to day or a passive investor that puts their trust in someone else to manage things? If you want to be a “hands-off” real estate investor, then you’ll have little to no involvement in the selection and management of investment properties themselves, and instead will be putting your money and trust in a team of real estate professionals to make those decisions for you. Alternatively, if you have the time, knowledge and interest in the real estate world, you may choose to be a “hands-on” investor. That means you’ll be actively researching, selecting, and managing individual investment properties, although you may choose to hire a property manager to handle the day-to-day work associated with any of your investment properties. Single Family Home: A single-family home is a standalone house meant for one family. Condominium/Townhouse/Co-op Unit: Single unit condos and townhouses have similar investment characteristics as single-family homes. Co-op units are similar, but may have additional community regulations for owners and tenants. Fix and Flip: A fix and flip involves buying a house that needs updating, making renovations and then selling quickly (hopefully for a profit). Multi-Family (2-4 units): Multi-Family Housing contains independent dwellings from more than one family. This could be a duplex (2 units), a threeplex (3 units), a fourplex (4 units) or an apartment building (5 more units). Manufactured/Mobile/Tiny Homes: A manufactured home is ready once it leaves the factory. A mobile home is a standard sized trailer which is placed in one location. Commercial buildings: Commercial buildings house businesses such as offices, retail stores, restaurants, etc. Crowdfunding Sites: Crowdfunding sites match real estate investors looking for funding for their real estate project with investors looking to invest. Private Placements – REITS and Real Estate Limited partnerships: Higher net worth (“accredited”) real estate investors have access to private real estate funds through private placement. When investing in real estate, you must begin with the end in mind — before you even make an offer or purchase a fund, you need a plan for if and when you will dispose of your investment. Decide ahead of time under what circumstances you will sell — after a certain number of years? Once the property has appreciated a certain amount? When you need the capital for something else? It’s important to establish this up front so that you aren’t at risk for emotional selling. 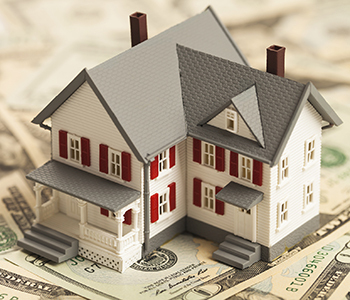 No matter what type of investor you are, or what type of property you would like to buy, if a short-term loss of value is something that would cause you to “cut your losses” and liquidate, you may not yet be ready to invest in real estate.